I can’t believe it’s already May! I feel like I just took down my Christmas tree, and it’s already Cinco de Mayo. I’m not Mexican, but I appreciate the significance of this holiday. Cinco de Mayo honors the Mexican Army’s victory over France at the Battle of Puebla on May 5, 1862, which is cool. But it’s also the date my sisters and I chose years ago to mark the beginning of our summer party season. Usually we ring in this day with a refreshing cocktail, but time got away from me, and I haven’t had a chance to come up with our Summer 2017 signature drink. 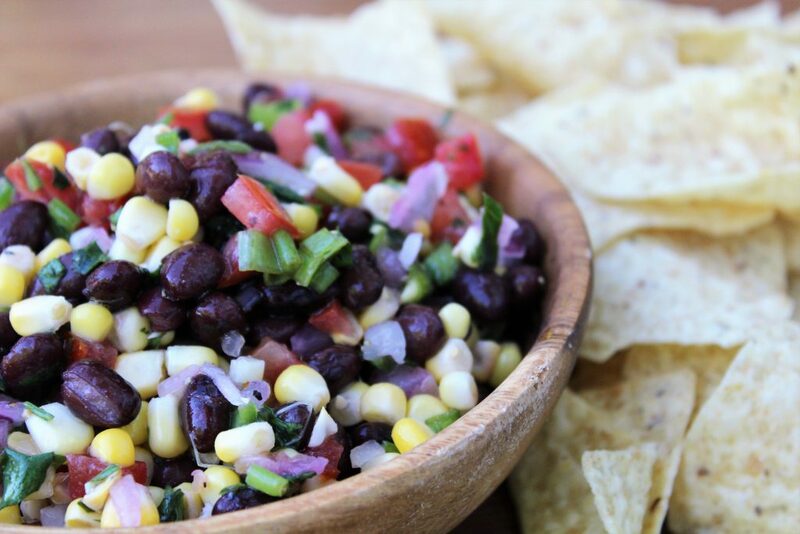 This year black bean and corn salsa will have to do to mark the beginning of our family fun season, since it was the quickest thing I could come up with before May 5. Even though there’s no alcohol involved, I think this dish is a good start for our party season. 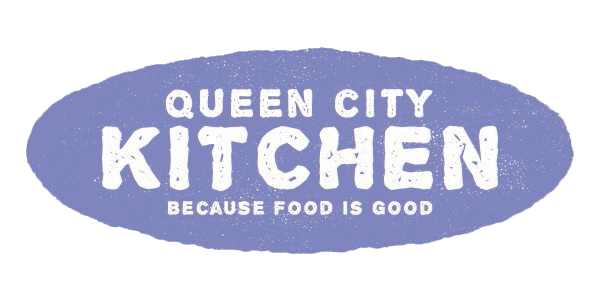 It’s festive and colorful with a great fresh flavor. Blanch the corn in a pot for boiling water for 2 minutes. Cut the kernels from the cob and place in a medium bowl. Add the beans, tomatoes, peppers, scallions, onion, garlic, and cilantro. Whisk the oils, vinegar, lime juice, salt, and pepper until combined. Pour the dressing over the vegetables and toss to coat. 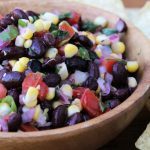 This entry was posted in Appetizers, Beans and Legumes, Condiment, Recipes, Tex-Mex, Vegetable, Vegetarian and tagged black beans, corn, salsa on May 5, 2017 by Andria Gaskins.